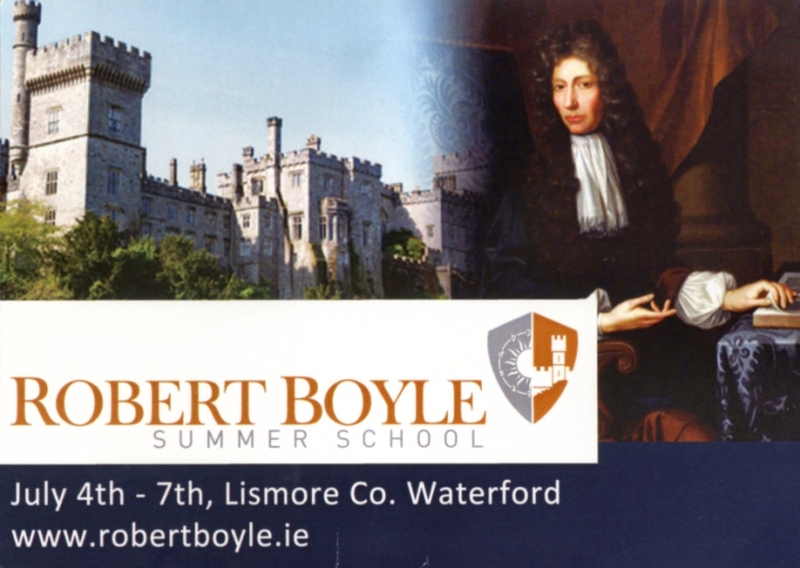 The second annual Robert Boyle Summer School will take place in the great scientist's birthplace, Lismore. 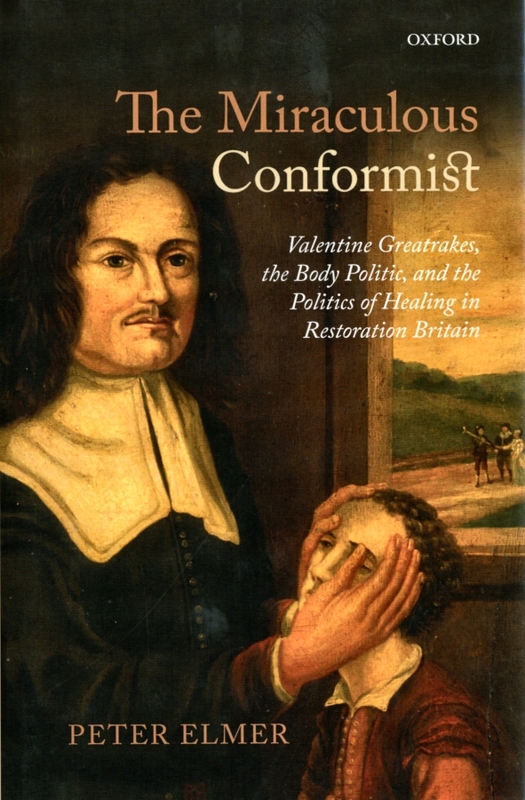 The subjects of this year's conference include Valentine Greatrakes, the 17th century healer from Affane, known as "The Stroker". whose powers as a faith healer caused a sensation in Restoration Britain, the speaker Peter Elmer had just publishes a book on Greatrakes. Peter Elmer has just published a biography of the celebrated 17th century healer Valentine Greatrakes (1629-1660) titled - The Miraculous Conformist - Valentine Greatrakes, the Body Politic, and the Politics of Healing in Restoration Britain. Greatrakes' grandfather, William, settled in Ireland during the Munster Plantation in the 1580's. In the early 1600's the family leased the Norrisland estate at Affane from Richard Boyle, Earl of Cork. Valentine was born at Norrisland house on 14th February 1629. In 1662 he claimed to have acquired the gift of healing and tried curing some of his neighbours with much success. His fame spread and many came to be cured from Ireland and England. He was invited to England where he caused a sensation, meeting some of the most noted figures of the period. Based on extensive research the book tells of one man's engagement with, and response to, some of the most important events of that time, including the Irish Rebellion 1641, English Civil Wars, the Cromwellian conquest of Ireland and the Restoration on 1660. It is a fascinating insight into the religious and political thinking of the period. In west Waterford the landowners, the family networks and the extensive links with Devon are all covered in detail.